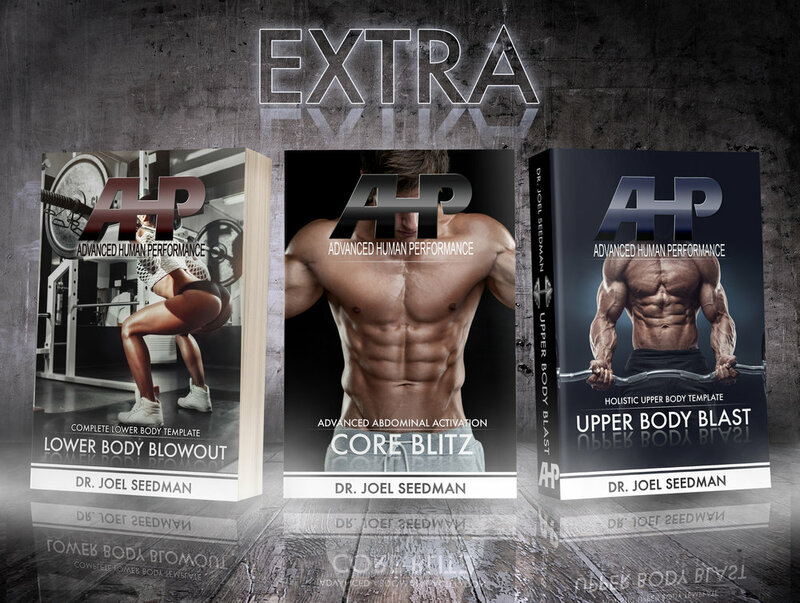 AHP presents Live & Let's Lift - an exclusive bundle package from Dr. Seedman that contains three of his most popular products. These programs, when grouped together, not only provides the athlete with unlimited training protocols and variety but it also provides the ultimate platform for a holistic body, movement, and performance transformation, including unprecedented levels of size/hypertrophy, functional strength, speed, power, neuromuscular stabilization, and total body performance. 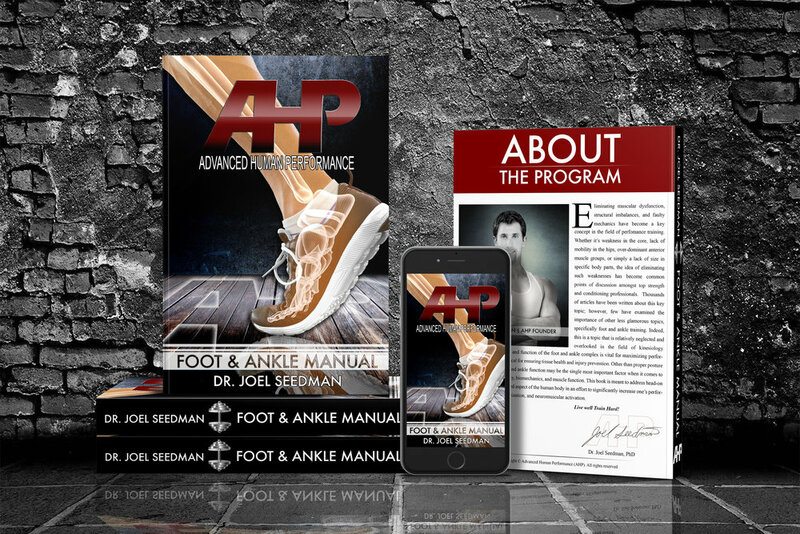 Specifically, this Platinum Tier bundle package contains (1) Ultimate Foot & Ankle Manual, (2) Complete Templates, and (3) Monster Mass. For any athlete looking to maximize their muscular development in tandem with their lower body motor control and mechanics this is the ultimate routine. 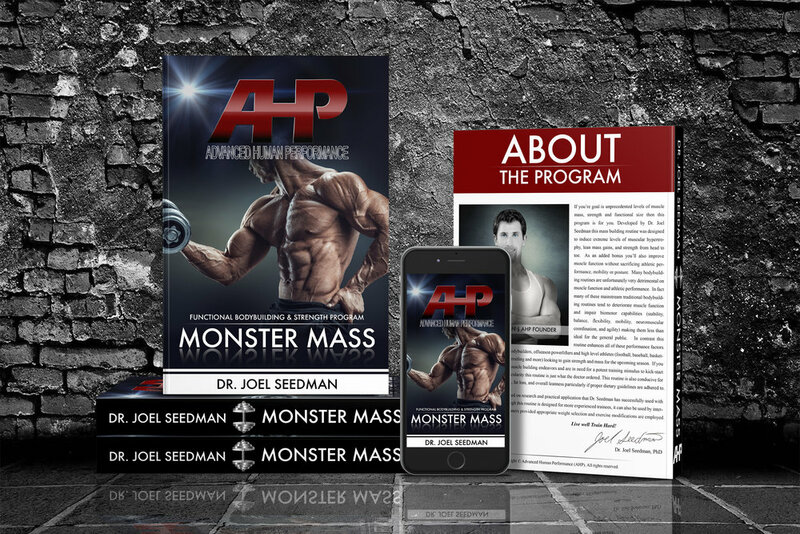 It's generally recommended that the athlete performs at least several weeks of the monster mass routine followed by a customized strength routine from the Complete Templates for an additional several weeks before repeating this cycle. In addition, the foot and ankle workouts can be implemented in a daily or every other day fashion, before or after workouts, or during separate times of the day. See below for an overview of this bundle package and links to detailed descriptions of each included product. In addition, with your purchase of Live & Let's Lift, you receive 3 FREE awesome training routines by Dr. Seedman to ensure your entire body is completely transformed. Specifically, you'll receive the following: (1) Upper Body Blast, (2) Lower Body Blowout, and (3) Core Blitz. Each of these was specifically designed by Dr. Seedman as a holistic way to maximize strength, hypertrophy, and neuromuscular activation across the entire body. In addition, with your purchase of Live & Let's Lift, you receive 3 FREE awesome training routines by Dr. Seedman to ensure your entire body is completely transformed. Specifically, you'll receive the following: (1) Upper Body Blast, (2) Lower Body Blowout, and (3) Core Blitz. Each of these was specifically designed by Dr. Seedman to maximize strength, hypertrophy, and neuromuscular activation across the entire body. Upper Body Blast (Free Product #1) is an intense upper body template designed for targeting hypertrophy and strength in your chest, back, shoulders, and arms. The Lower Body Blowout (Free Product #2) is an elite lower body template designed for targeting hypertrophy and strength in quadriceps, glutes, hamstrings, calves, feet, and ankles. Finally, Core Blitz (Free Product #3) is the ultimate abdominal template designed for building core strength and definition.